Critters in the sea often bear very little resemblance to their earth-bound namesakes. Flatworms are a case in point. They are far from the pink, wiggly sausage-like creatures found in your lawn. 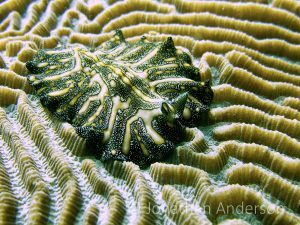 Rather, they are a very ancient and basic form of marine life, with some very disturbing adaptations….. Thanks to guest David Gilchrist for sharing some of his amazing images. 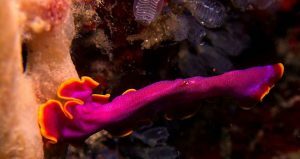 The Fuchsia Flatworm is a spectacular find on any dive. They feed by placing themselves over their victims and sucking in their prey with a tube-like extension in its mouth acting as a blender. But that’s not the only extraordinary aspect of the Flatworm’s eating habits. 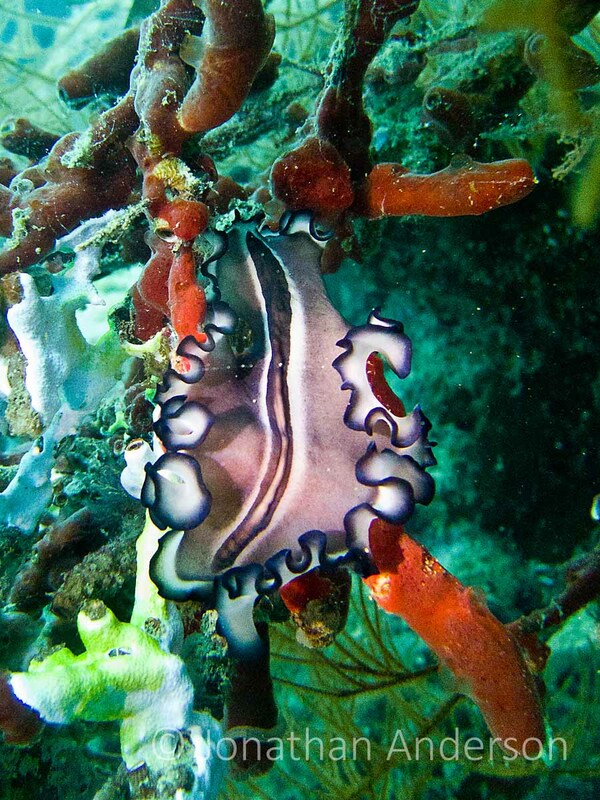 Flatworms have a very curious arrangement of just a single one hole with which to eat, and also expel its waste. So if it could talk, it would be speaking out of its behind. We all know someone like that. Many Flatworms, like Bayer’s Flatworm, have Pseudotentacles, which are a pair of more developed folds in the skirt of the Flatworm. They can also sense their surroundings with a pair of light sensitive patches. Most of the time Flatworms move by pulsating the tiny cilia (hairs) on their underside, gliding over any surfaces. Occasionally they perform their party trick, of free-swimming in a mesmerizing rippling motion. It’s best not to encourage this behaviour though, as they are very delicate and can easily disintegrate if accidentally handled. 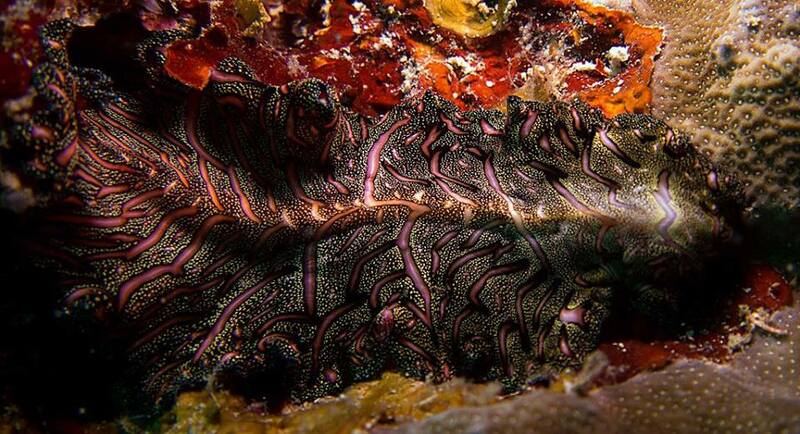 Like many Flatworms, the Persian Carpet Flatworm is a hermaphrodite, meaning it has both sets of sexual organs. However, this Flatworm has decided it’s best to have two penises. One to try to stab and inseminate another Persian Carpet, the other to fence and block a similar attack from a randy Flatworm. We are not making this up.